so you’ll understand my obsession with finding quality clothing in charity shops, for extraordinary prices. Picture a rainy Saturday afternoon (not hard to imagine if you live in the UK). 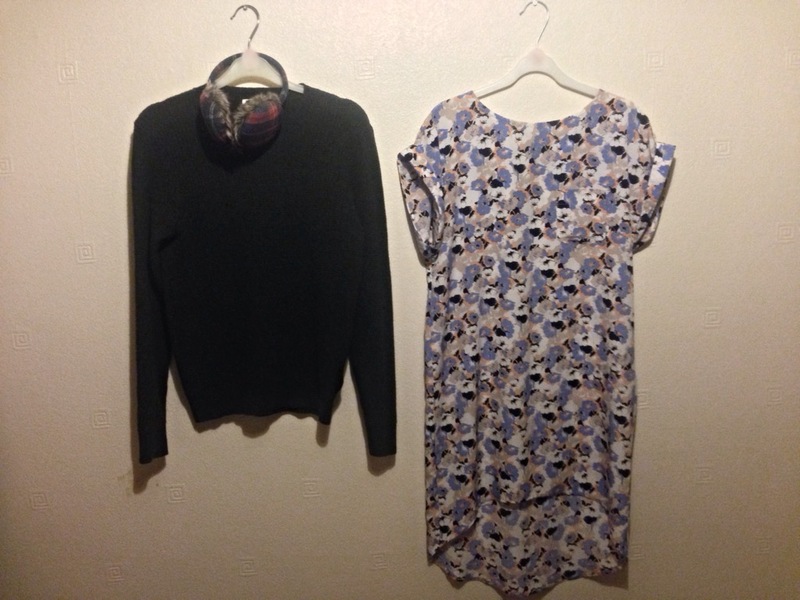 After instigating a shopping trip and having little success at a vintage warehouse, I decide it was time to drag my boyfriend around the charity shops and to my delight, I found three fantastic items. 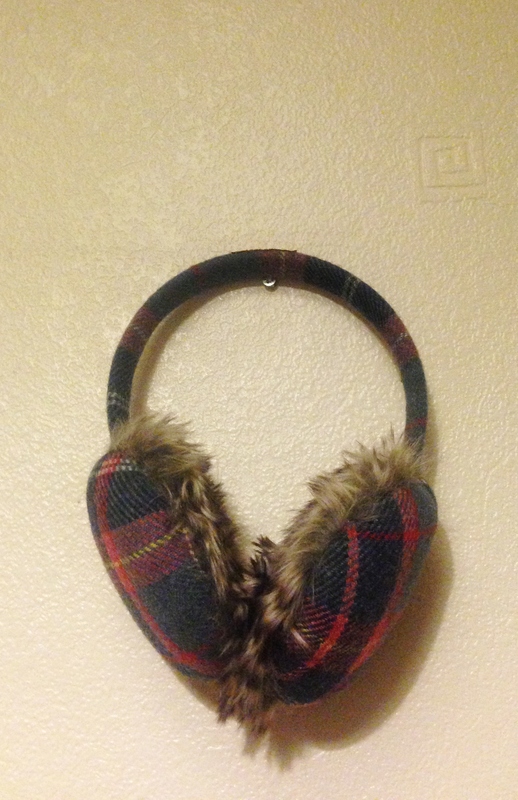 After hunting for the perfect pair of fluffy earmuffs for the wintery weather for a long time, you can understand my delight when stumbling upon a pair of Ness tartan earmuffs with a fluffy faux lining, retailing at £12.99, yet purchased from a charity shop in Poole for just £3.99 on this occasion. We’re all aware that Reiss garments can often cost an arm and a leg, with the knitwear range alone costing anywhere from £100 upwards, when sales aren’t in place. 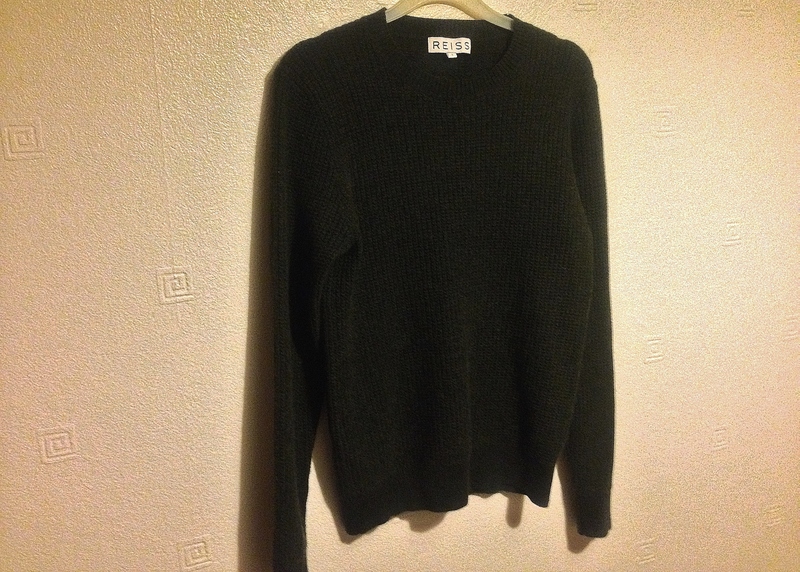 For this reason, I grabbed this deep green jumper from the shelf and immediately bought it for a mere £4.50 – and it was a small, so the perfect fit. Result! 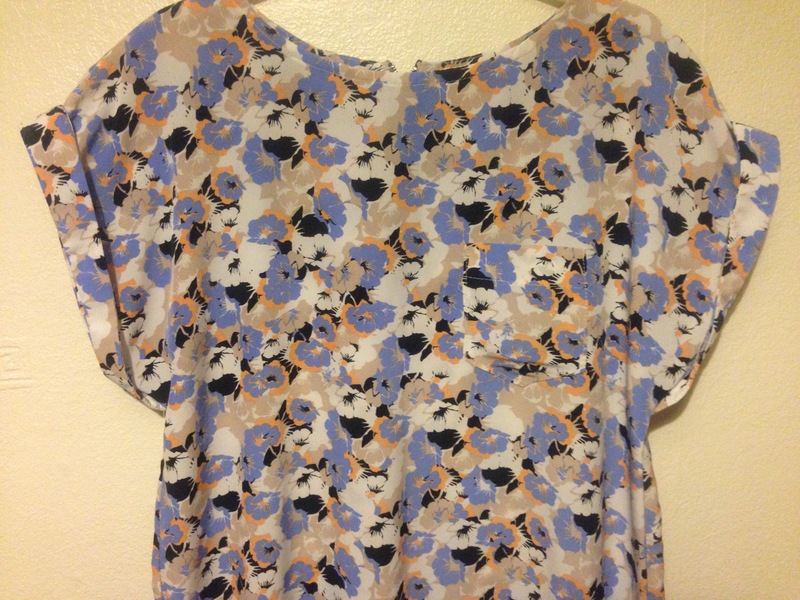 Perfect for daytime work-wear, perfect for nighttime casual – this top set me back just £4. With a bright colour palette to stand out from a mile away and a really crisp ‘new look and feel’, this size 6 top was a must-have from the moment I spotted it. All in all, this was a great charity haul but obviously not every charity shopping trip ends with so many quality items. …please follow my blog or send a request in the comments section below. That Reiss jumper was a bargain, pity I’m never that disciplined about charity shopping, my best find was probably Ferragamos that was still £25, still not bad for a £400 pair of shoes. Otherwise I just don’t have your patience/luck/eye. I’m so shocked that I found it! I love a good bargain and as a rule don’t generally exceed £10 in a charity shop but your purchase is a completely new level of bargain! Congratulations on that and it’s all about rummaging for the perfect find! Good luck with your future charity shopping experiences! I love a bargain in a charity shop, you just have to use your imagination to make things work!